Reese Witherspoon's Draper James has officially launched its first children's capsule, a Mommy & Me collection designed by students at the Savannah College of Art and Design (SCAD) in partnership with Rockets of Awesome. Commenting on the design and production of the capsule on the brand's blog, Witherspoon writes, "Seeing the process from start to finish was exciting, to say the least. The sketches, silhouettes, and prints came together better than we could’ve ever imaged." The capsule contains a dress for mom, a complementary dress for girls, and a matching set for boys. The collection features a Cherokee Rose print and a classic blue and white gingham, making for a tightly curated capsule – a fact which should come as no surprise, as the pieces were created in partnership with children's subscription box service Rockets of Awesome. 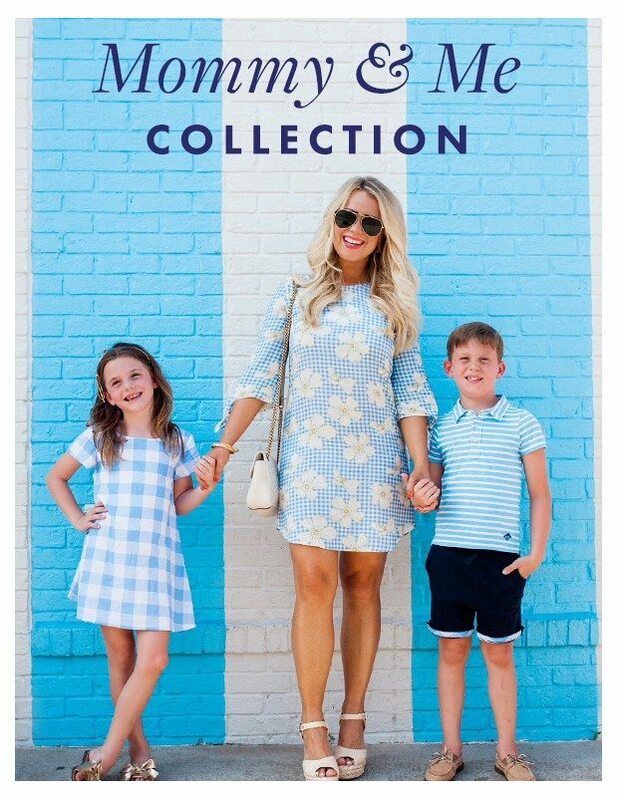 Online, the Mommy & Me capsule is merchandised with women's chambray dresses and rompers as well as dresses and tops with complementary shades of blue. The partnership with SCAD is timely for Draper James who recently opened its first store in Atlanta and has been investing more in Georgia. Witherspoon herself was awarded a SCAD Étoile award last November. As a nod to the Nashville-based company's increased involvement in the state, the boy's top sports an embroidered bumble bee, which is both SCAD's mascot and the Georgia state insect. Draper James' Mommy & Me collection ranges in price point from $28 for the boy's embroidered polo to $125 for the women's rayon dress. It is available now online as well as at Draper James Nashville flagship.